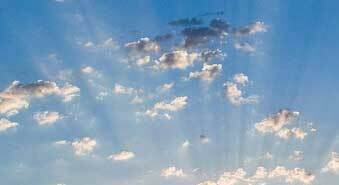 In 1925, Pete and Lucille Kuyper of Pella, Iowa, imagined a window screen that could roll up when not in use. Then they founded a company to create it. 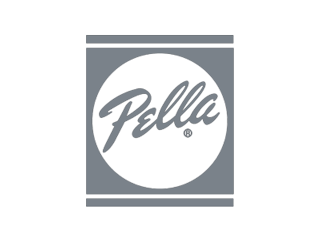 Begun as the Rolscreen Company, Pella® remains in the Kuyper family and continues to offer innovation in window and door technology. With over 100 patents, Pella prides itself in creating new products or enhancements that address real-world customer demands, from energy-efficient glass to remotely operated, in-glass window shades. 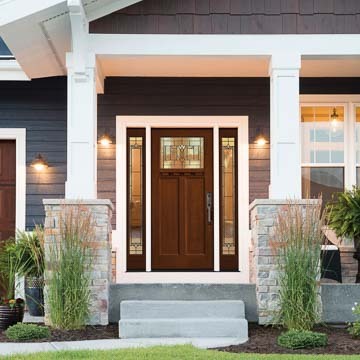 Chapman Windows Doors & Siding is happy to offer several Pella product lines to meet any need. 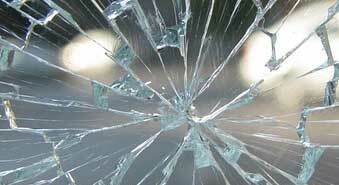 Within these product lines, you can select a number of hardware, glazing and finishing options. Many products work with Pella's Insynctive(TM) system of controllers, sensors, and indicators for automatic or remote operation. The Architect Series® provides the most expansive selection of wood or wood and aluminum windows with premium glass options. 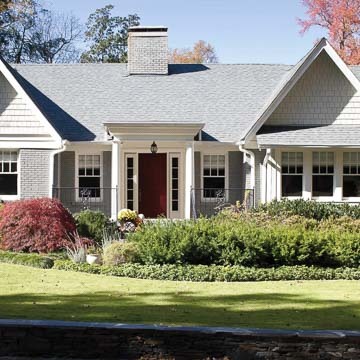 Standard windows of all types, such as casement, double-hung, bow and bay, awning and specialty widows are available in this series, as are custom windows. Several species of wood are offered. The Designer Series® features Pella's snap-in, between-the-glass blinds, shades, and grilles. 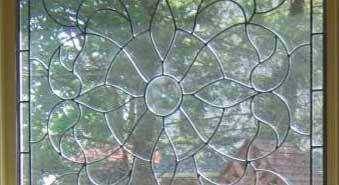 Triple-pane glass is standard. 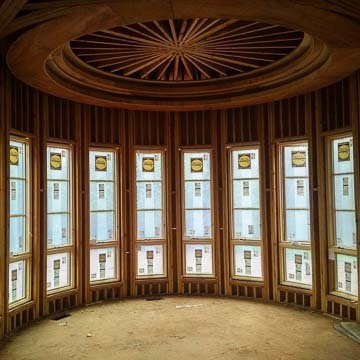 D esigner Series windows consist of pine interiors and aluminum-clad pine exteriors. Standard windows of all types are available. The Pella® 450 Series products have a wood interior and wood, aluminum-clad exterior. This series is limited to the most popular shapes and sizes for cost savings. 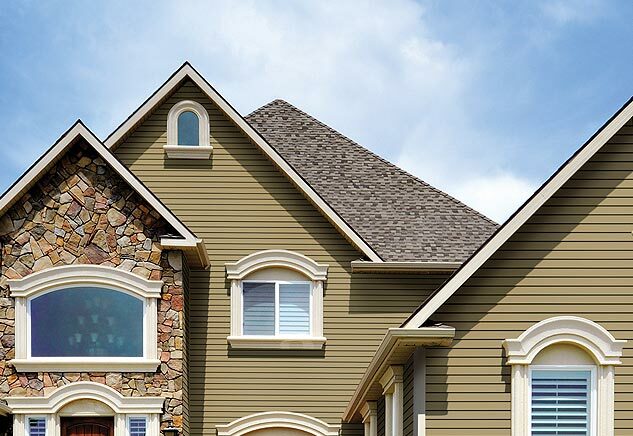 The Pella® Impervia® line uses extremely durable fiberglass that has the look of painted wood in its construction. Most types of windows are available in this line. The Pella® 350 Series, 250 Series, and Encompass by Pella® vinyl windows offer maintenance-free windows that deliver energy efficiency in a budget-friendly way. Available patio doors include French doors, sliding, multi-sliding and bi-fold patio doors in the above product lines. Entry doors in wood-grained or smooth fiberglass, or steel, also complement the above windows. 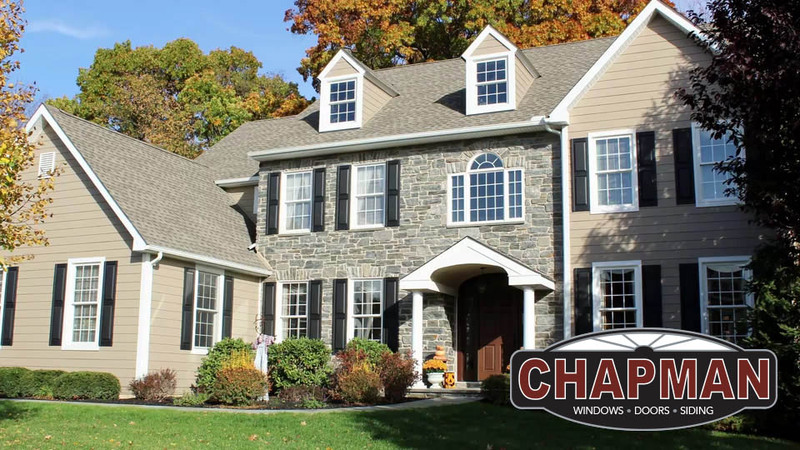 Chapman Windows Doors & Siding is committed to helping you select products that will enhance your home's appearance and energy use. Pella has wooden or wooden and aluminum windows and doors in a wide range of styles that provide beauty and functionality. Almost all Pella products meet or exceed ENERGY STAR® requirements, and Pella has been named an ENERGY STAR partner of the year. In addition, Pella products have been rated superior by the National Fenestration Rating Council® (NFRC). Pella practices responsible forest management and uses energy-saving manufacturing techniques.